"The trio operates as a partnership of equals, not as pianist and accompaniment. The electronic effects are integrated in the same spirit, with each member exploiting them." "The trio operaces as a partnership of equals, nor as pianist and accompaniment. The electtonic effects are integrared in the same spirit, with each memher exploiting them." "It’s a fine collection of impressionistic and evocative jazz instrumentals"
"An ‘ear-catcher’ for contemporary piano trio lovers, Known-Unknown, by definition, offers the recognised exhilaration of Trichotomy with a profusion of unpredictable alleyways… and already enjoyed many, many times." An ‘ear-catcher’ for contemporary piano trio lovers, Known-Unknown, by definition, offers the recognised exhilaration of Trichotomy with a profusion of unpredictable alleyways… and already enjoyed many, many times. 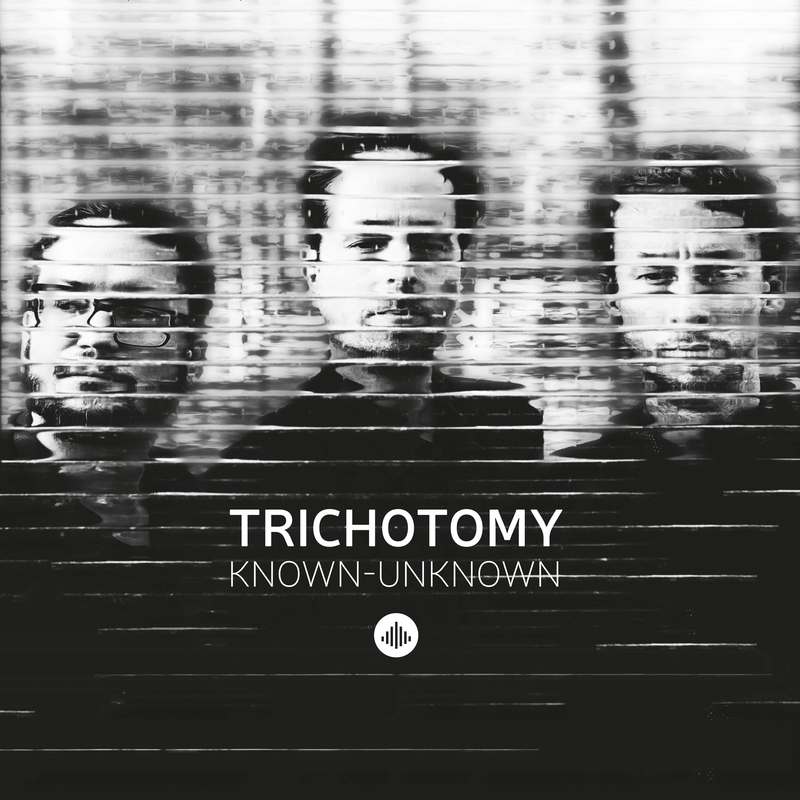 Trichotomy have established a reputation as a trio that delves in a degree of abstraction, albeit in an all-acoustic mode. "(...) Nowadays piano trio with a sprinkle of 'down under' (...)"
"A tough yet elastic sense of experimentation stretches the trio confines to admirable effect." "Svensson would have been proud of the lyrical simplicity and gentle piano-bass exposition of drummer John Parker’s misty ballad It’s Strange Coming Back." "Known-Unknown appears after a break during which the band's members have been busy with numerous other projects and sees the first appearance of a new bassist, but it takes just a few bars of "Five" to reassure fans that this cohesive, exciting trio is back and on track."